Use a microwave oven and the super cute molds, soap base, and pigments in the set to make seashell or flower shaped soaps. 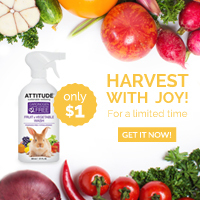 Get creative by adding all-natural ingredients found in the kitchen and in the garden! Add rose petals or lavender to create scented soaps, oatmeal to make soothing soaps, and much more! Add honey and make a beehive-shaped soap! Follow the recipes in the booklet or dream up custom soaps. Make soap for family and friends and fold up five whimsical, pre-printed boxes to give as gifts. The possibilities are endless with this spa-tacular kit from Smartlab toys. SmartLab Toys have offered my readers the chance to win a Spa Soaps Kit. I also love the Glow-in-the-Dark Lab kit! The glow in the dark lab looks cool. I would like to give my son the Custom Car Design Shop.